View cart “NEW – Brighton Landmarks Canvas Bag” has been added to your cart. The bag is digitally printed on heavy duty 100% premium cotton canvas and has medium long strong handles that can be carried over your shoulder on by hand. 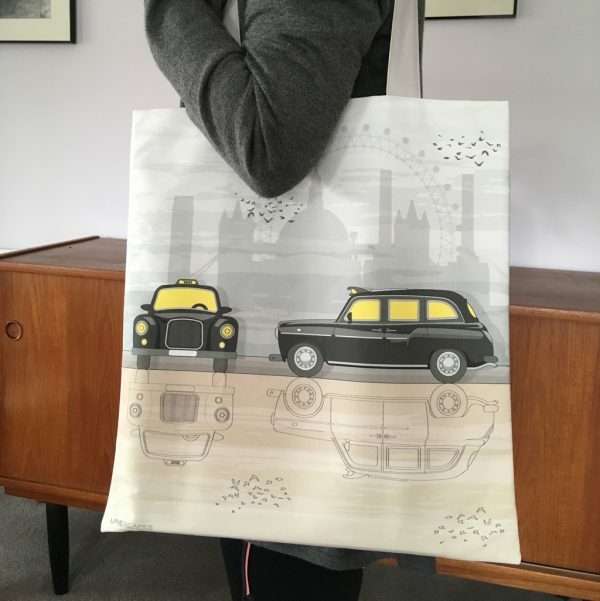 This is the perfect gift for anyone who loves London icons. The tea towels are individually wrapped and presented in a belly band. Machine wash at maximum 30 degrees. 42cm x 38cm. 28cm long handles. The original London taxi is an iconic sight in London roads and is also known as the Hackney Carriage or Black Cab.